Google has already officially revealed that Android 5.1 Lollipop exists just a few days ago. We got a change-log and some details about this version but no release date so far. 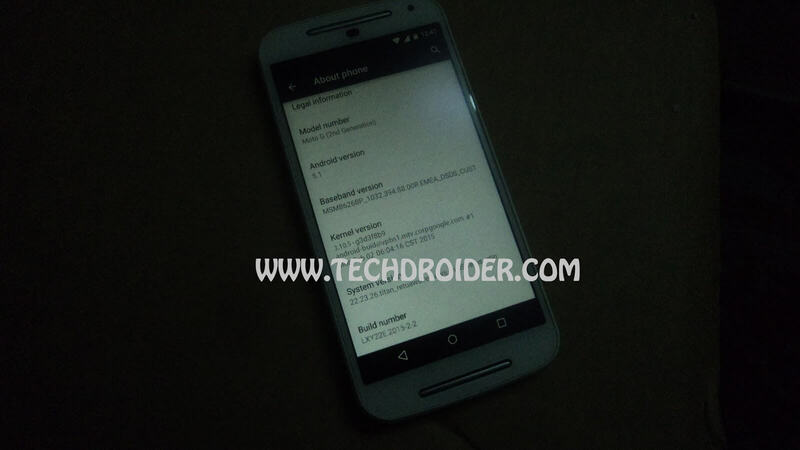 A leaked image of a Moto G 2nd generation running Android version 5.1 has appeared online (photo below). The Moto G on the photo is running a build that is dated on 2nd Feb and Motorola is still testing it. Android 5.1 Lollipop is expected to arrive by the end of this month (February), starting with nexus factory images followed by OTA package updates.